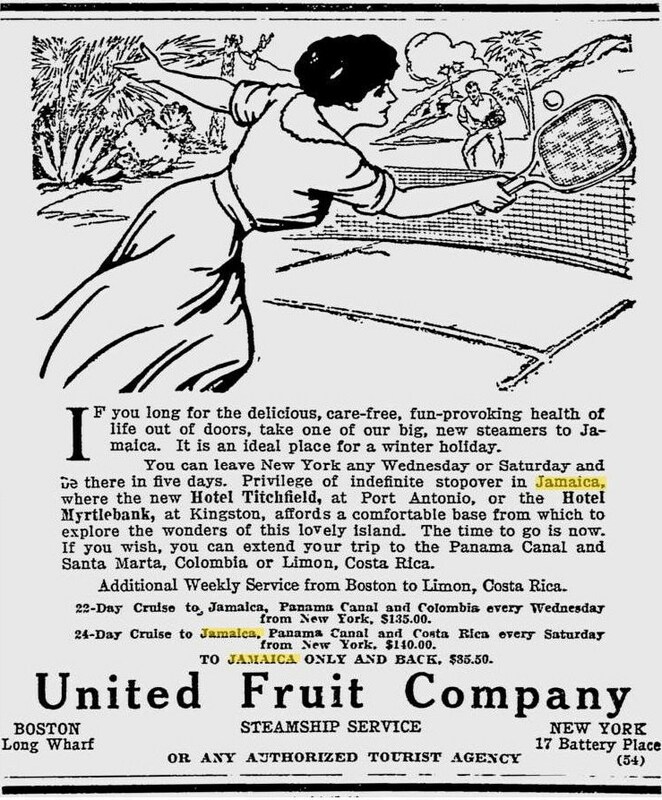 I found this cool ad in the Boston Evening Transcript in the January 26th, 1912 edition. 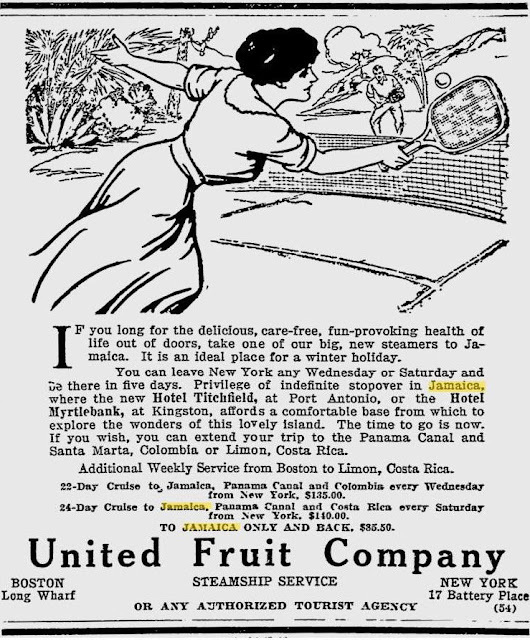 Located on page 15 is this ad that's pitching a cruise from New York to the Carribean and back for the low low price of either $135 for a 22 day cruise or $140 for a 24 day cruise. How much is $135 in 1912 dollars? Around $3,057 according to www.futureboy.us. Still seems like a pretty good deal.